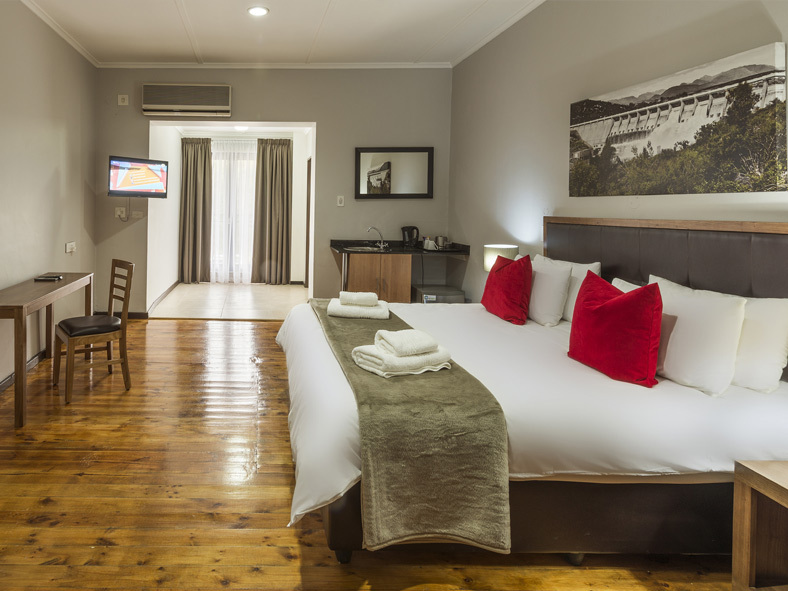 The Clanwilliam Hotel has 42 air-conditioned rooms with en-suite bathrooms and DStv. 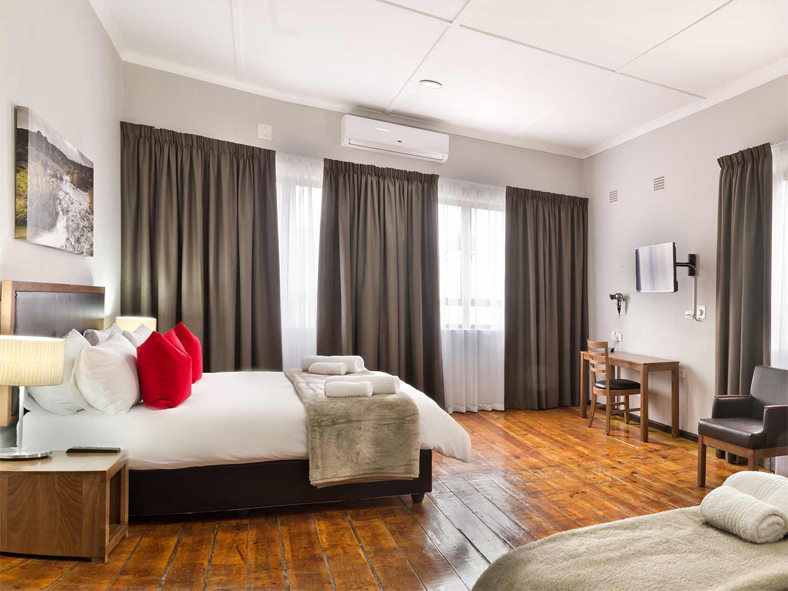 For those warm Cederberg days, our Clanwilliam bed and breakfast has braai areas and a swimming pool, as well as a restaurant and bar for those who want to keep cool. Our reception is open all day, every day so that you have access to anything you need. 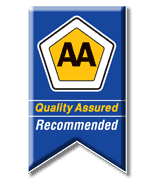 We are more than happy to answers all of your questions. There is a 50 percent deposit required to secure your reservation. Arrival time is 2pm and you are expected to depart by 10am. Should you need to arrive or depart at a different time, please contact reception. For more information, do not hesitate to reach out via our Clanwilliam Hotel contact details page. Accommodation bed and breakfast single or double occupancy R950.00. 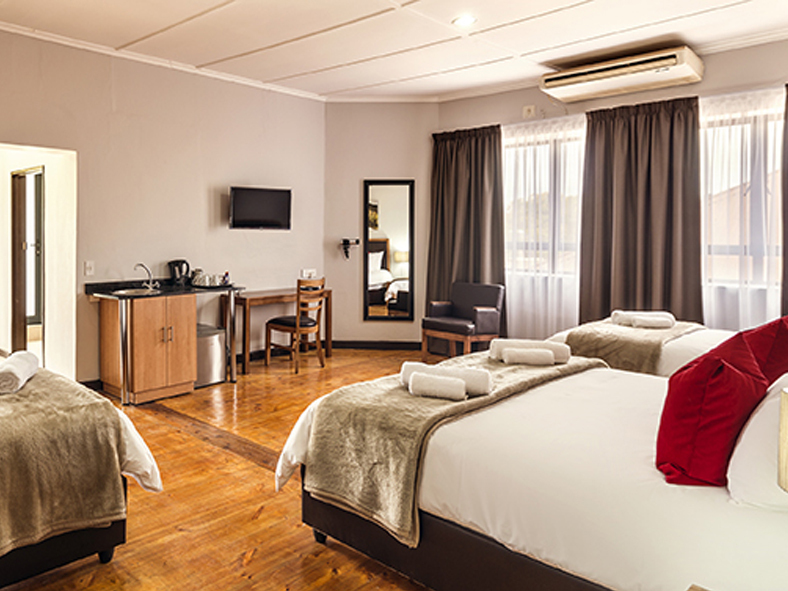 *Extra person per room R 475.00 including breakfast. *Extra child per room R 250.00 including breakfast. Accommodation bed and breakfast Honeymoon suite R1200.00. Accommodation bed and breakfast single or double occupancy R 1200.00. 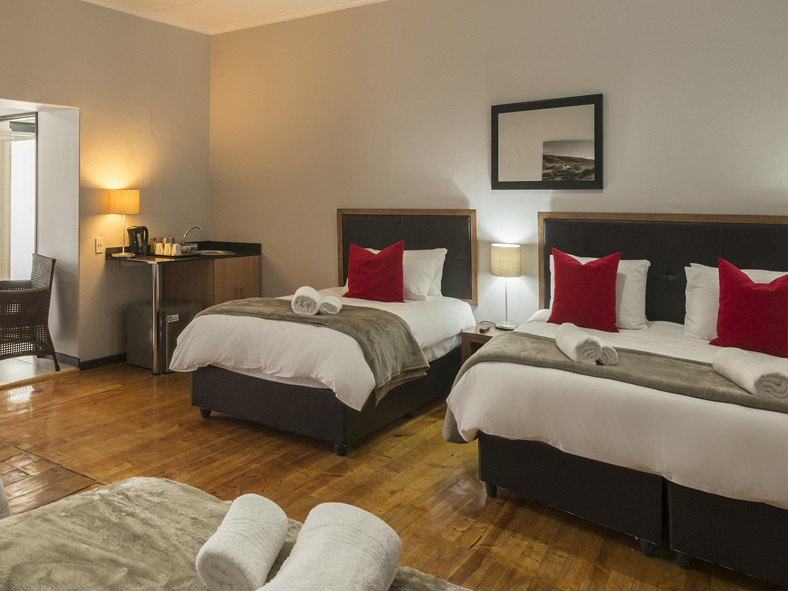 Extra person per room R 600.00 including breakfast. Extra child per room R 300.00 including breakfast. Accommodation bed and breakfast Honeymoon suite R 1400.00. There are 42 air-conditioned rooms in the hotel. All with en-suite bathrooms. Bar and restaurant available. 50% deposit or full payment to be made within 24 hours of booking to confirm reservation. Full refund of payment will be made on reservations cancelled within 48 hours of receiving Booking Confirmation letter from hotel. No refunds for bookings & reservations made and paid within 48 hours of check-in.